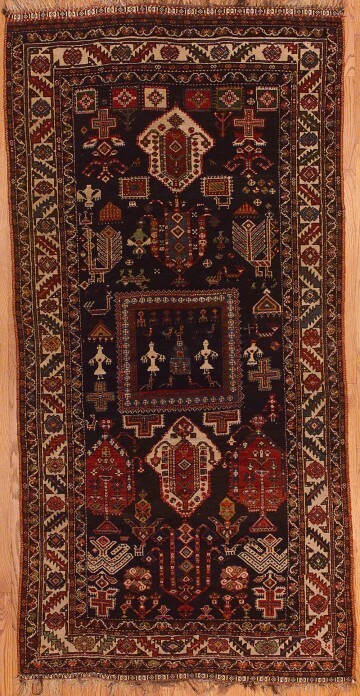 This Luri (or Lori) tribal rug was made in the early 20th Century by nomadic peoples who have lived high in the rugged Zagros Mountains for more than 600 years. Stylized botanical forms, distinctive borders, and symmetry of pattern are hallmarks of tribal rugs from this region. Luri rugs are also known for their deep, saturated colors. Luri rug construction is of soft wool on wool with thin, tight pile and end finish of verne stitch.